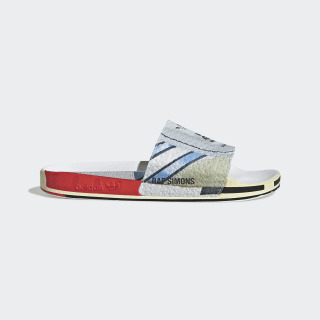 Trompe l'oeil slides designed with Raf Simons. Worlds collide in the Raf Simons Micro Adilette Slides. 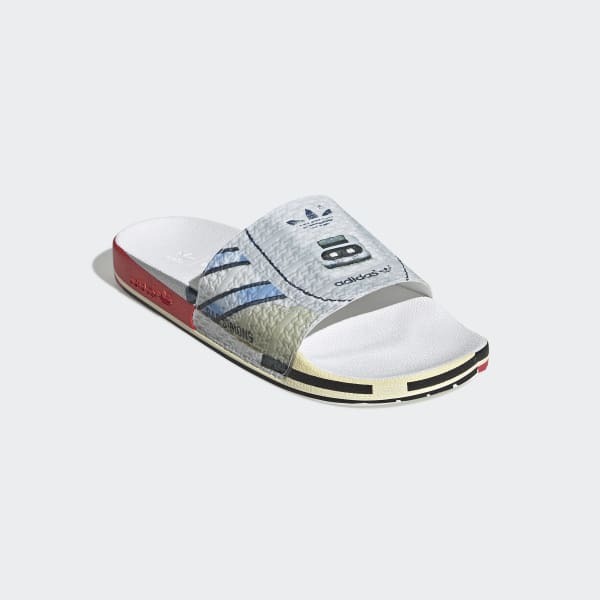 A collaboration with the distinctive Belgian designer, these slides meld the vintage look of the adidas Micropacer with the poolside style of the Adilette. A trompe l'oeil print pays tribute to iconic Micropacer details like a metallic silver upper and sky blue 3-Stripes.